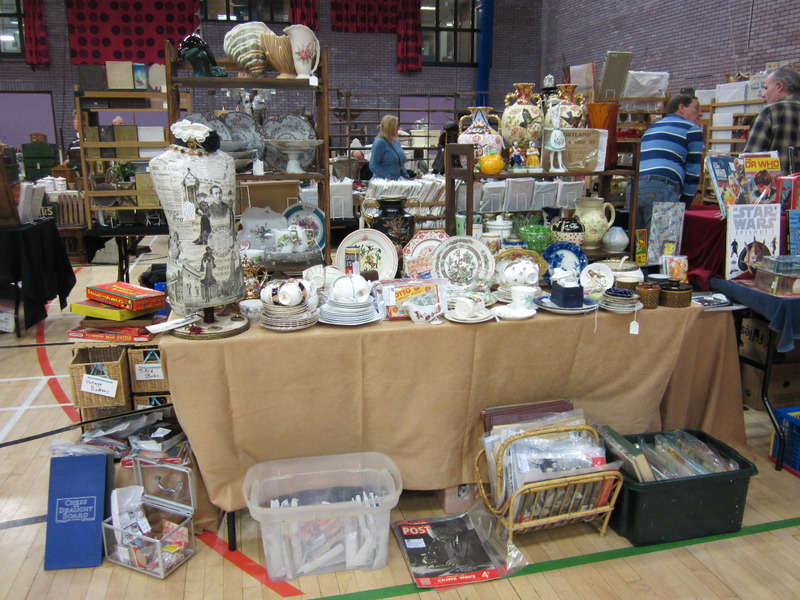 Well I took the plunge and did an Antiques Fair. Boy was it hard work, left home at 6am not home until 6.30pm. So no more work for me this week!!! It was great fun, my friend Ann came to help. The tyres on my sack barrow went flat!!! Just when we were unloading too. I had been a good girl scout and taken a foot pump so they pumped up all right. My son, his partner and her sister came to give some support. 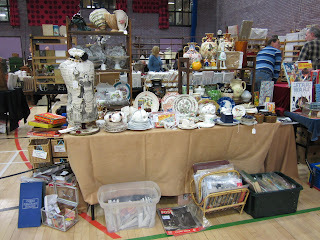 There were about 50 stalls and it was very busy. I sold my first things within 5 minutes. My stall looks very untidy compared to others, but it made people come and have a root round. 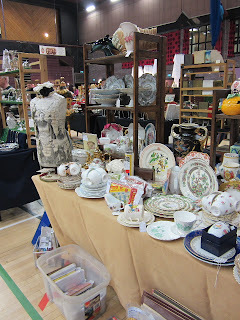 Some stalls looked so pristine I would be scared to touch things, mine looks like a hoarders paradise. Any way we had a great time. Thanks for your comments on my last post, for some reason I can not add comments to my own blog!!! Roll on end of January when I will have my new PC. Looks Amazing Joan Well Done !! !